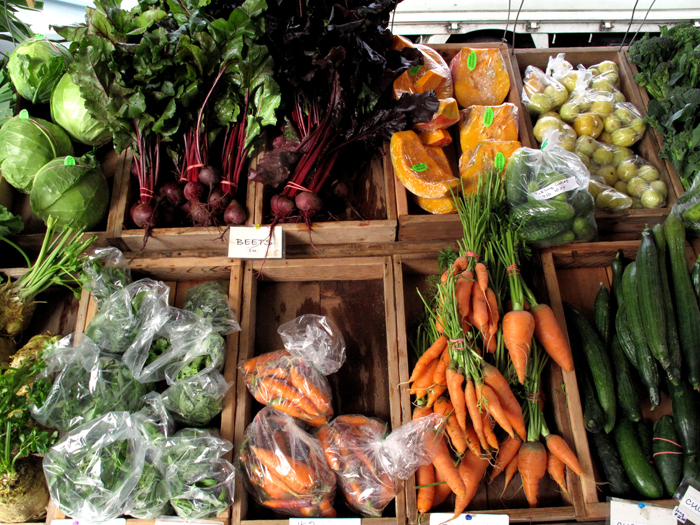 The Moss Street Market, which began in 1992, is one of Victoria’s biggest and most well-known farmers markets. The dynamic and diverse marketplace focuses on sustainability and eco-awareness and supports local economies and producers. The market offers local and organic farm-fresh produce and homemade foods, handmade crafts, artisan clothing, free live music, inspiring services and community education. The Kid's Tent offers a free art and crafting experience for children and the Chef's Stage program features food demonstrations by local chefs. One can also enjoy fair-trade, regionally roasted Level Ground Coffee at the market's Coffee Tent. Don't forget to bring reusable shopping bags or baskets and stop by the Market Info Tent if you have questions. Open Saturdays, 10:00am to 2:00pm May through October, 10:00am to 12:00pm April and the first two weeks of November. Corner of Moss St. and Fairfield St.